In 2017, more than 5.51 million houses sold to new owners. And they were all in different conditions. As a homebuyer, you might not know what you’re getting into. Sellers aren’t always upfront about the condition of their houses and the maintenance they’ve done. That’s where a home inspection can help. And while a general inspection is a good idea, some systems, like your plumbing, need a more experienced eye. Here’s what your plumber will look for during your plumbing inspection so you can know what to expect. During every home inspection, the inspector will check for visible signs of water damage both inside and outside the house. They’ll look for discoloration on the walls and ceiling, warped siding, and even active leaks and drips. Any water damage can indicate a major issue with the plumbing as well as the condition of the roof. If they identify any problems, you’ll want to work with the seller to get the house fixed before closing on the property. Pipes are durable, but they’re not indestructible. Over time, the materials can start to break down. When this happens, leaks, drips, and even low water pressure develop. During the inspection, they’ll check the condition of all visible pipes. This means looking in the basement, any accessible crawlspaces, under sinks, and in utility closets. Remember, old pipes aren’t necessarily bad or damaged. But if they’re extremely old or made of unsafe materials, like the original lead pipes in older homes, they’ll let you know. One of the most often-neglected appliances in any home is the water heater. And if you don’t know what to look for, knowing whether the heater is in good shape or needs replacing can be tough. Your inspector will check the water heater, the pipes around it, and the connections for signs of wear and tear. They’ll also check for rust and puddling around the tank. If there are no issues, the water heater is in good shape. Keep in mind that the average water heater only lasts for 10 to 15 years. Even if it passes inspection, you may need to replace it shortly after you buy the house. No one likes to think about their toilet or septic system, but without it, the house won’t be in livable condition. During the inspection, your plumbing expert will check the water main for signs of damage. Like the home’s pipes, the sewer main can deteriorate and collapse over time. This is true whether you’re on city utilities or not. If this happens, the toilet can back up and send sewage out into the bathroom. Knowing what to expect from the sewer line lets you know what you can expect in future maintenance. Remember, the homeowner may not tell you if they’ve had a bunch of clogs in the past. But the plumbing inspector will. Running toilets are, at best, an annoyance. At worst, they waste tons of water. During the inspection, your plumber will check each toilet and their connections. They’ll flush them to see if changing water levels produce leaks and whether the toilet runs afterward. Don’t panic. A running toilet shouldn’t keep you from buying the house. It’s a simple fix and one that you or the homeowner can take care of in a matter of minutes. High humidity levels are breeding grounds for mold and mildew. And they often happen when there’s a hidden leak in the plumbing or even the HVAC system. The plumber will check each room for excess humidity. They’re familiar with the area and know what’s normal, what’s weather-related, and what’s a problem due to the pipes inside the walls. If humidity levels are normal, you have nothing to worry about. If they’re abnormal, the plumber can check for further signs of leaks and pinpoint the potential problem before you buy the house. Your water supply largely determines your water pressure levels. But some underlying plumbing issues can raise or lower it. When it’s too high, you run the risk of blowing out the lines and putting too much strain on the pipes. When it’s too low, getting rid of soap and residue is almost impossible. They’ll check the water pressure out of each faucet and showerhead in the house. If anything is out of the ordinary, they’ll let you know what needs to get done to fix the problem. Sprinklers and other irrigation systems are great for keeping the landscaping in good condition. But they can and do leak. This causes unwanted puddles around the yard and can damage plants when left unaddressed. 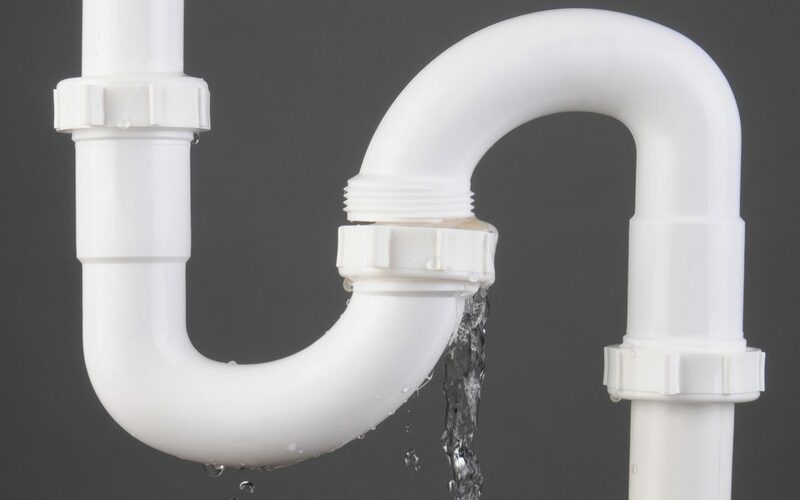 Your plumber will check the water lines running from the water main to the system for signs of wear and tear. They’ll also inspect the fittings and connections for signs of damage. If everything is in good working order, you shouldn’t have to worry about the irrigation system under or overperforming. Basements are naturally more humid than other rooms of the house. And in areas where the water table is close to the surface, it’s not uncommon for water to soak up into the foundation. In most homes, the sump pump helps keep the basement dry and free of excessive levels of moisture and humidity. When it’s not working, the foundation can get saturated, developing cracks which threaten the structural integrity of the building. Crawl spaces provide access to much of the home’s internal plumbing and electrical system. And they’re often the first to show signs of water damage. The homeowner may not even know there’s an issue. After all, out of sight, out of mind. That’s why it’s one of the most important components of any plumbing inspection. The inspector will check each accessible crawlspace for signs of leaks including staining on the building materials, mold, mildew, and damp spots. If they find nothing, you’re good to go. But if they find damage, they’ll help you figure out what needs to happen. If you’re buying a house, make sure you know what’s working and what needs a bit of attention before you close on the property. Invest in a plumbing inspection so you can tell if a house is the right fit for your family. Have a house in mind? Contact us today to schedule an inspection.